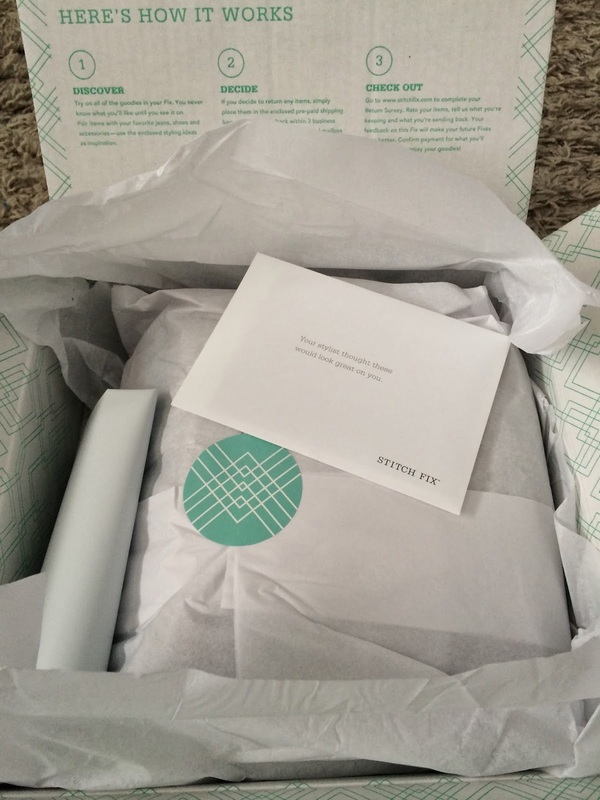 My Stitch Fix #4 arrived today! I skipped a few months through the holidays to save some money and was hoping this box would be exactly what I wanted. Work pieces and vibrant colors was what I was looking for. This is the first look. I could see nothing, but that made me want to rip into the box even more. So here's the second look. It looked promising when I saw some color, which I really liked. I thought maybe this will be the fix where I keep all five pieces! 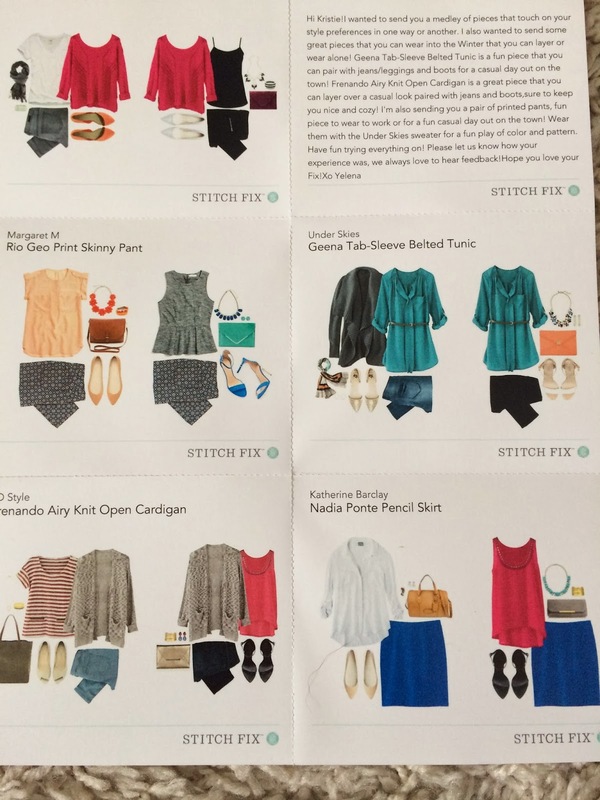 Here is the card that shows how to style all the pieces. This made me want to try everything on immediately. I really liked everything they sent and was hoping it would all fit! I loved this skirt and it fit nicely, but it was a little too pricey for me. I think I can find something similar for less, so I decided to send this back. 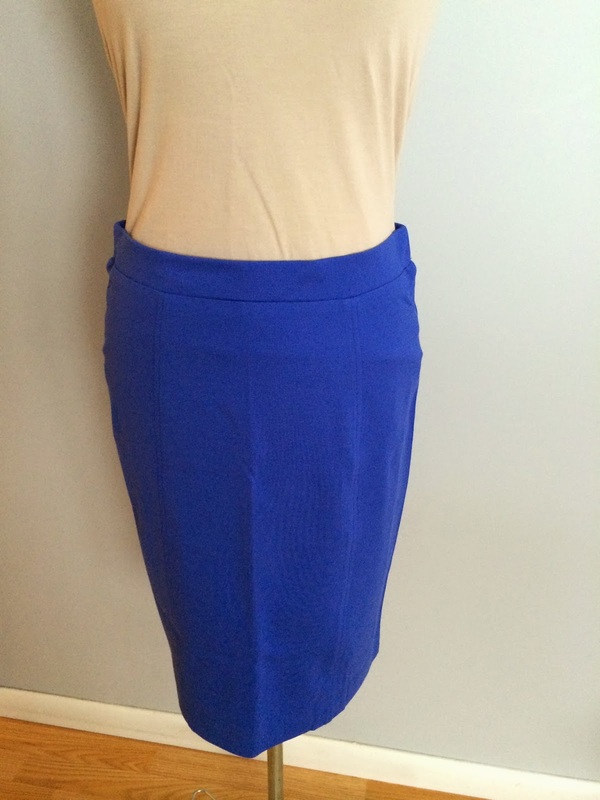 I did request a cobalt blue pencil skirt, so they definitely listened! I really liked the print on this pant. 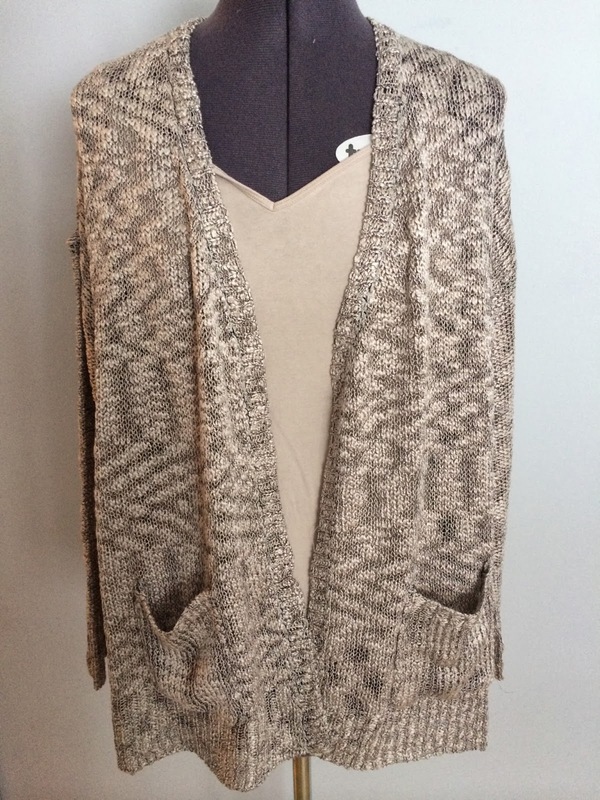 It was navy and tan and would go with so much in my closet. Unfortunately, these did not fit. They were too big and just looked wrong. 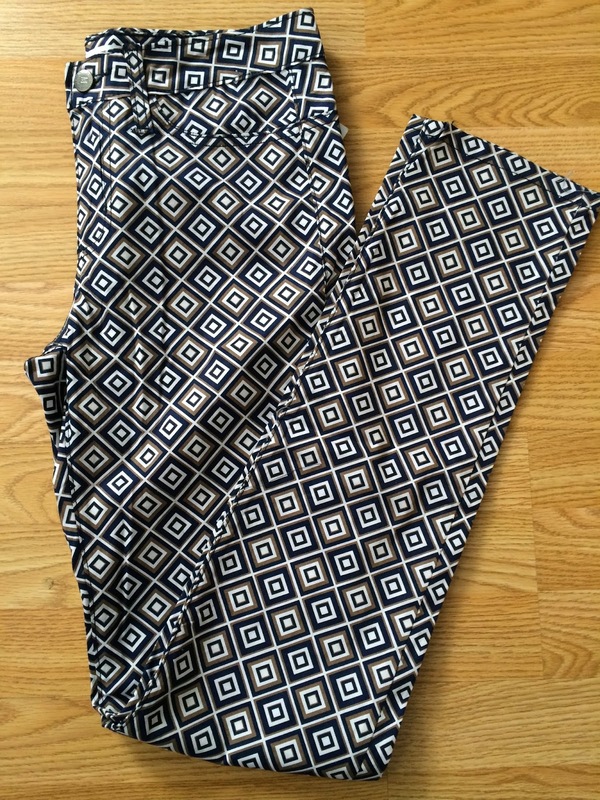 I also requested patterned pants, so they definitely sent me what I wanted. 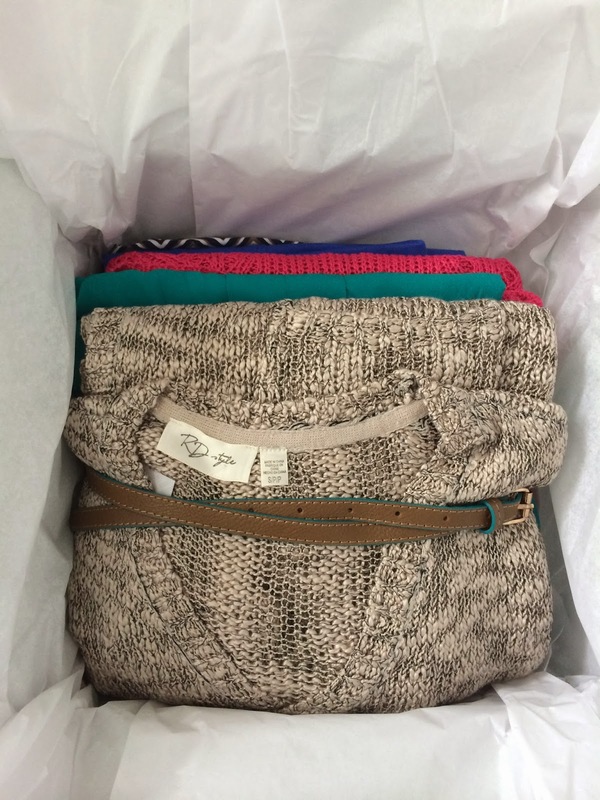 This sweater was one of my favorite items when I first looked at everything in the box. 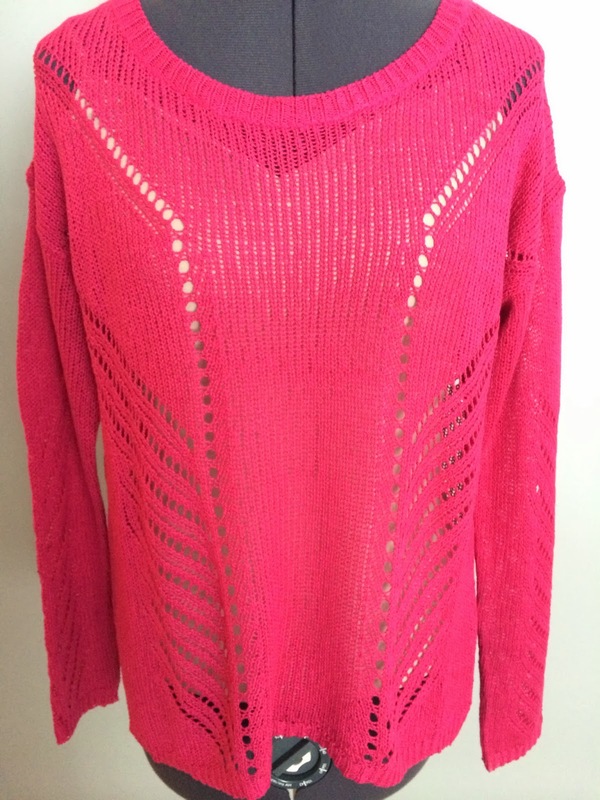 I loved the bright pink color and thought it would be a great transition piece from winter into spring. I immediately paired it with skirts and pants and loved it! This was a keeper!!! And I'm already trying to configure a cute outfit with it for Valentine's Day! I kept going back and forth with this piece. 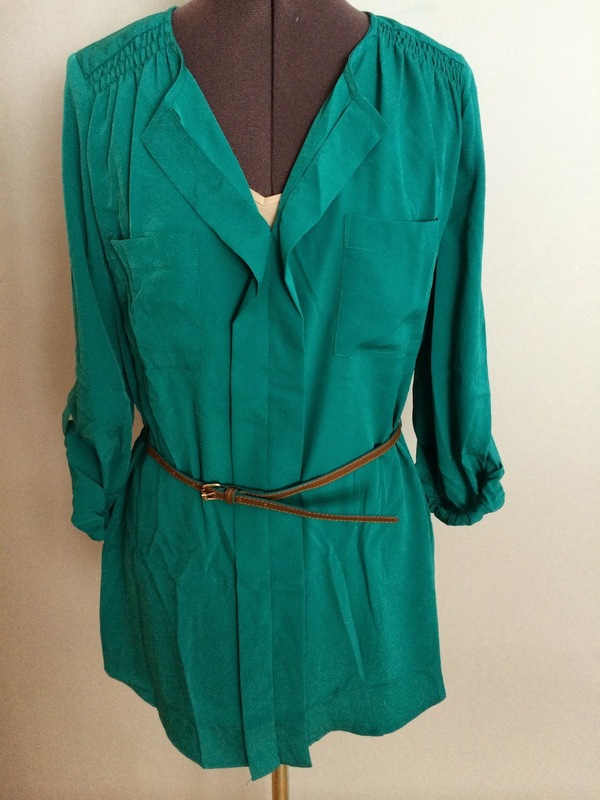 I liked it and it was comfortable, but I think the fit and color made me feel frumpy. I paired it with different pants and shirts and just couldn't get it right. I decided I probably wouldn't wear this if I kept it, so it's going back. I only kept one item from this box, but really loved everything they sent. They just didn't work on my body type. The stylist definitely listened to my requests and sent me exactly what I asked for. All the colors and pieces were beautiful, just not for me unfortunately. What Would You Do For a Sale?